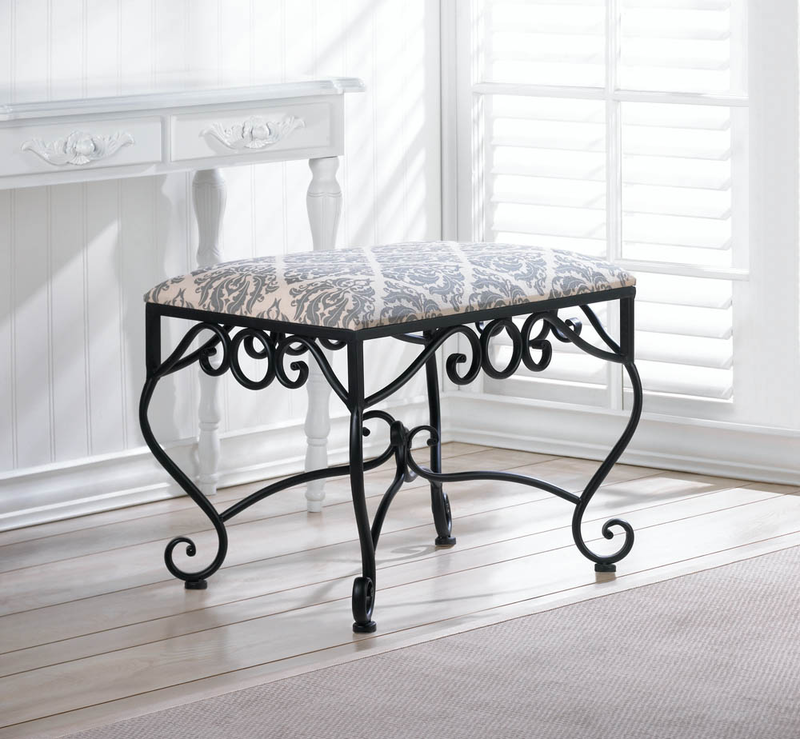 Add a little elegance to your room with this classic stool. 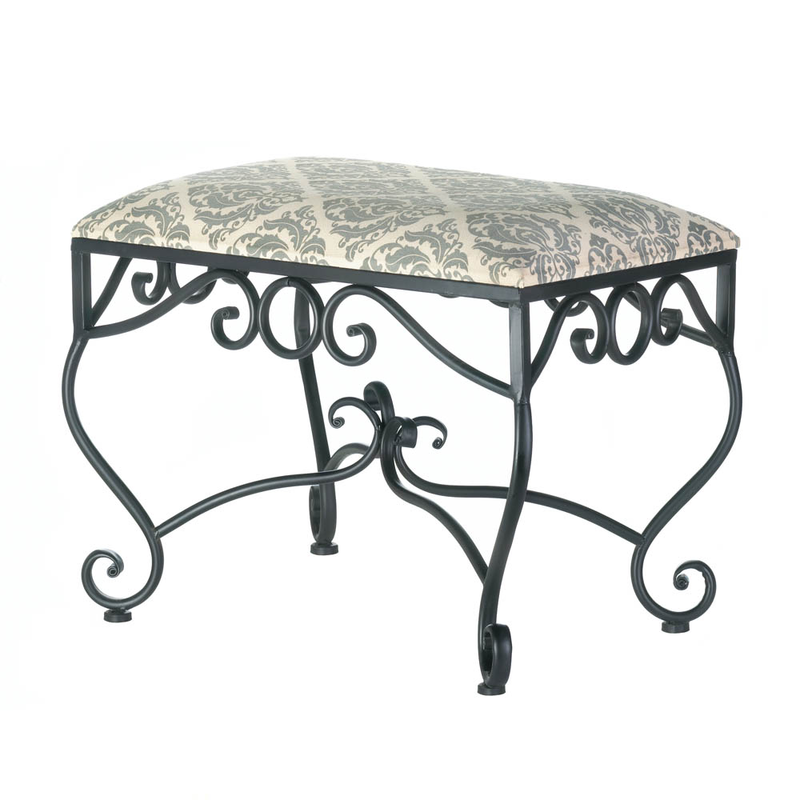 Elaborate curls of black metal hold a canvas cover featuring a dark damask pattern that’s rich with style. Item weight: 12.6 lbs. 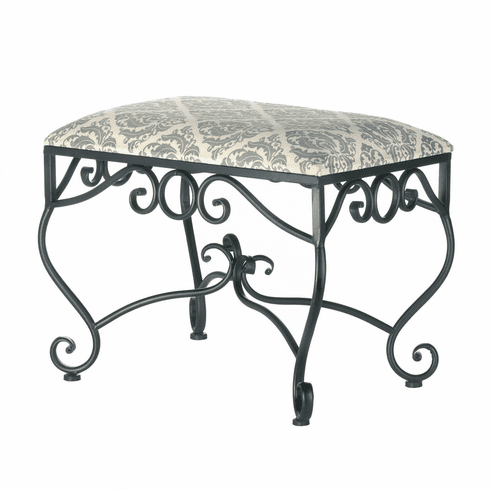 24¼" x 16" x 19" high. Iron, canvas and sponge. UPC: 849179025090.